Terry Alderman was the best Australian cut and swing bowler of his era. His highly decorated career spanned two decades. Terry was of incredible sporting pedigree and born into a sports loving family. His father Bill played league football and first-grade cricket, brother John was a first grade cricketer and sister Denise Emerson was an Australian Test cricketer. Starring as a bowler with Aquinas College, Terry made his first-grade debut while still in school. In his first match, in Sydney during the 1974/75 season, he took five New South Wales wickets to start an incredible career. Terry would go on to play first class cricket with Western Australia for two decades, English County cricket with Kent and Gloucestershire, and Test cricket with Australia. He would earn a three-year ban from international cricket after participating in rebel tours to South Africa in 1985/86 and 1986/87. Terry was reliable to attack when others were struggling and conditions were adverse. Although not recognised for his batting prowess and almost always the number 11 in any side, when required he gave effort and resistance. In 1984, in the second test against a powerful West Indies side, he and Allan Border batted for 95 minutes to save Australia from defeat. Owing to his quick reflexes, he was a reliable slips and close-in fieldsman. He took 190 catches in first class cricket. Career highlights are 1981 and 1989 Ashes series in England where he took an exceptional 42 and 41 Test wickets respectively. With 433 wickets he has taken the most of any Western Australia bowler. 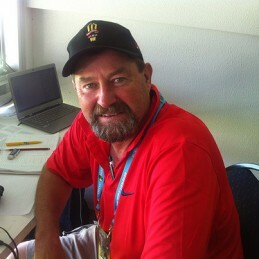 Terry adapted well to one-day limited overs matches, bowling with economy in his 65 matches. Terry is in high demand as a speaker for corporate, government and sporting events. Motivating, informative and witty, presentations are tailored to the needs of the client.